Board Index > General Chat > Anything Goes > Cream/Zeppelin to reunite at Ahmet Ertegun memorial concert! Author: Subject: Cream/Zeppelin to reunite at Ahmet Ertegun memorial concert! Concert will be in London latter in year. Stay tuned for details, and let's pray they record show for DVD release. I read something about a Zepp reunion possibility, but didn't believe it. Any chance you can give us the link? Ill bet they will tour if this is true!. there is no mention of it on John Paul Jones website. Look for Robert Plant and Alison Krauss' collaborative album to be out soon, with some tour dates to follow. 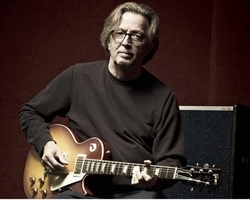 Chuckels has total credibility in my book--I believe he's batting 1.000 on every prediction/scoop he has ever posted on this Forum, including things like Derek playing with Clapton. Zeppelin is a show I might have to sell a kidney for I wouldn't necessarily expect them to match the original version, but just to hear those songs live would be worth it to me. I would love to see Led Zeppelin again - hope this pans out! This may be a good excuse to go visit my friend in London - I've said I would go visit her for 2 years now and never came, this looks like the one. Thanks Rob, I try and to be accurate, missed 1 or 2. Stones also will be doing set. What I am hearing is 30 minute sets for Cream/Zep/Stones. Can't we fairly easily trace the ABB back to Ahmet thru Tom Dowd and get them a slot on the 'bill'...? Dana, we can get even farther back and tighter than that. Back when Duane had first recorded the Hey Jude sessions with Wilson Pickett--late 1968, a few months before the ABB lineup materialized--FAME Studio owner Rick Hall played the tapes for Ahmet's longtime partner Jerry Wexler (with Ahmet and Nesuhi Ertegun a co-owner of Atlantic Records) and knocked his socks off. Wex bought up Duane's contract from Hall right then, and things just steadily unfolded from there. You absolutely right Pete! I'm familiar with that story....that's why I so 'gently' laid it out there! Wouldn't THAT be cool....!!! Let's start a petition!!! Cream/Zeppelin to reunite at Ahmet Ertegun memorial concert! Shoot, chuckels, the thread title had me envisioning a 6-piece band: Eric, Jack, Ginger, Jimmy, Robert, and J-P! Wouldn't THAT be cool....!!! Let's start a petition!!! 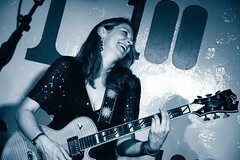 Yes, if we can add most of the ABB to the aforementioned 6-piece band, Dana. Gotta work Jeff Beck into there, too. Call the assemblage Brothers in Arms. 'Twould be historically accurate and correct. But, I suspect that, in they eyes of many, this aspect of Mr. Ertegun's legacy never existed. Anyone have any idea how much tickets are going to be for this or where in London it'll be? So long as its not the freakin Wembley Arena..Saw Zep at Earls Court in 75 and that was a sh1t venue as well!
. . . FAME Studio owner Rick Hall played the tapes for Ahmet's longtime partner Jerry Wexler (with Ahmet and Nesuhi Ertegun a co-owner of Atlantic Records) and knocked his socks off. Wex bought up Duane's contract from Hall right then, and things just steadily unfolded from there. I should have said, "Rick Hall played the tapes over the phone . . . ." That alone was what blew Wex away. In fact, it might have been the tape, singular, of the "Hey Jude" single alone. 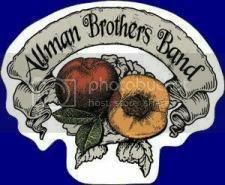 Bup, this is true, since the Allman Brothers were more closely associated with Wex and Tom Dowd. PBS recently had this bio on Ahmet--part of the American Masters series (I watched it 1 and two halves times )--and I can't even remember that the Allman Brothers Band were mentioned more than just in passing as one of several big rock groups the Atlantic Records family signed in the late '60s after branching out from jazz and R&B. Maybe it's because the ABB was more directly under Phil Walden and Capricorn. Then again, the bio made a fairly big deal about the Stax/Volt R&B artists that Atlantic was not directly responsible for, either. Unlike Wex and Tom, Ahmet didn't seem to have cultivated a personal relationship with anybody in the ABB. Other parts of the bio indicated that each of the partners--Ahmet, Wex, and Nesuhi Ertegun--had his own little sphere. So, you never see Nesuhi getting credit for the ABB or the Cream or Buppalo Springfield . By the same token, the bio emphasized the acts that Ahmet had more of a direct hand in signing and developing--and schmoozing with--and showed recent little conversations between Ahmet and them. In the rock arena this included Eric Clapton, Jimmy Page, and Mick. Ahmet's stock went down when they showed so much Bette Midler and Phil Collins, and the chronological bio basically ended with Kid Rock! Wrong "Cowww-boyyy!" So, the Allman Brothers were part of the Atlantic empire but not really part of Ahmet's personal fiefdom within it. No slight. I think I'll skip the "re-union" and watch the Zep DVD again. and as always "PLAY AT MAXIMUM VOLUME"
Now that might make me cross the pond.